Alentejo, a warmer region in the south of Portugal that gives the wines an lively, generously fruity ‘sun kissed’ character that reflects the ease of ripening of the grapes. 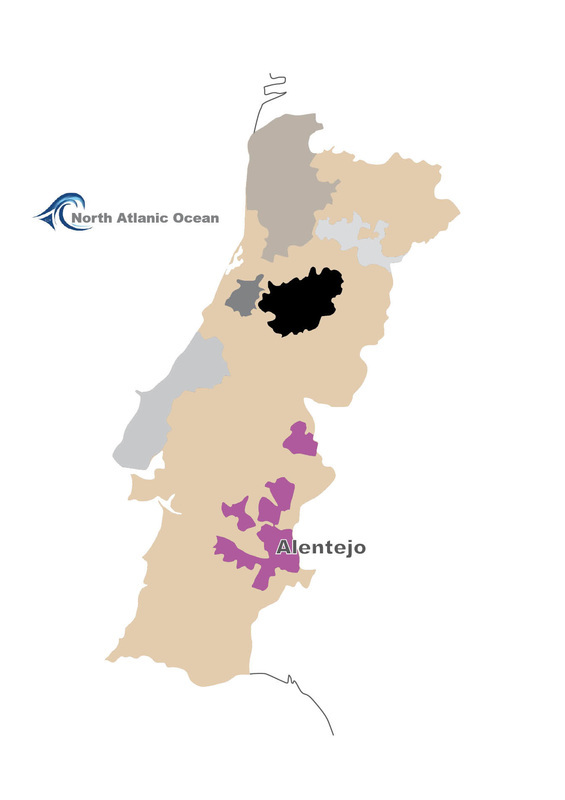 Alentejo occupies much of the south-eastern half of the country. Here, the climate finally escapes the Atlantic influence, and the scenery changes to large, gently plain, hills and even mountains in the north eastern corner. There are baking hot summers and cold winters more typical of the continental weather system. The soil varies from sub-region to sub-regions, and ranges from chalky soil with marble chips, to granite and schist, to granite with some chalk, to limestone – though clay is the most commonly found subsoil. While red grapes dominate 80% of the planting, with star grapes like Touriga National, Aragonez, Alicante Bouschet, Trincadeira, Periquita, Arinto and Shiraz, the white varieties like Roupeiro, Fernao Pires, Perrum and Arinto can give pleasant surprise too.